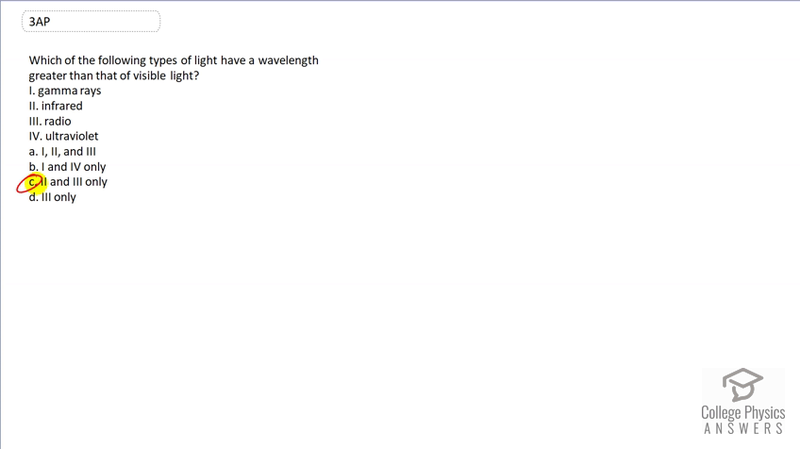 Which of the following types of light have a wavelength greater than that of visible light? This is College Physics Answers with Shaun Dychko. Radio waves and infrared waves have wavelengths that are greater than that of visible light, so the answer is C.